Why is Israel’s environment a concern for Diaspora Jewry? The land of Israel is of concern to all Jews. Our historic and spiritual connection to the land makes her survival a matter of concern for all who love her, whether we live in Israel or not. Though we may live around the world, we love the land of Israel and are dedicated to work for her preservation. Shouldn't Israelis take care of their own environment? The Israeli environmental movement has grown rapidly in the last few years, and environmental consciousness is growing nationwide. The Green Zionist Alliance aims to support that environmental awareness. We work with partners and GZA members in Israel to support their projects and their ideas. 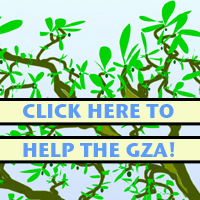 All GZA campaigns and initiatives are supported by our Advisory Board of leading environmentalists in Israel. What difference can we really make for Israel’s environment? While Israel has become a robust independent economy and government, many avenues still remain in which Diaspora Jewry sets policy for the state. Through the infrastructure of the World Zionist Congress and Keren Kayemet L'Yisrael, Diaspora Jewry appoints many of the people who make important decisions daily. Additionally, donor-directed initiatives allow Diaspora Jewry to have a say in many aspects of Israeli society — from education to how towns are built and expanded. 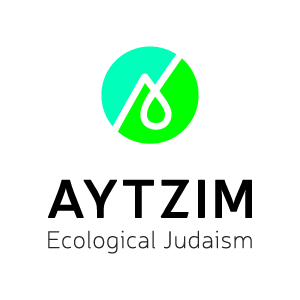 By working within the structure of the American Zionist Movement and the World Zionist Congress, the GZA is able to assist in the allocation of millions of dollars to environmentally progressive causes. Shouldn't we, as Diaspora residents, worry about our local and global environment first and not Israel's? Each of us has a connection to a number of specific places that have served us in our lives. While we must work to protect those places that are closest, we also must remember those places that are far away that we also love. Fortunately, many activities like energy conservation can serve local, global and Israeli interests simultaneously. Think Israel, act local! How can Israel care about the environment, when it is under constant threat? Don’t people need to come first? The old paradigm — that nothing is as important as security and development — no longer applies. Israelis are starting to realize that preserving water, air and agricultural/recreational land are issues of national security and economic development. While environmental concerns may not pose a national threat at present, far more people die every year from air pollution than terrorism, and some predictions indicate that shortages of water and agricultural land could further destabilize the region and undermine a final-status agreement with the Palestinians. What is the Green Zionist Alliance’s position on peace and Palestinian statehood? Wild species and environmental pollutants do not stop at borders, and as such, environmental solutions must be cooperative in nature. To that end, the Green Zionist Alliance calls on the State of Israel to work collaboratively with neighbors to solve environmental issues. Israel must stand as a regional leader for environmental protection. By deliberating on environmental issues with her neighbors, Israel will begin to form close working relationships with other peoples in the region and promote peace with all her neighbors. What about the Bedouin, Israeli Arabs and others suffering environmental-justice concerns? The Green Zionist Alliance believes that in accordance with the Israeli Declaration of Independence, the state must work toward a permanent and equitable resolution to internal environmental-justice concerns. Where does the Green Zionist Alliance operate? The Green Zionist Alliance is a New York-based organization that operates in the Disapora — primarily in North America — and in Israel. What about the greenhouse gasses released into the atmosphere by airplanes when GZA members travel? When people travel on behalf of the Green Zionist Alliance, their transportation is carbon offset through carbon-mitigating projects, such as those by the Good Energy Initiative in Israel. Can I get a job with the Green Zionist Alliance? The Green Zionist Alliance is a volunteer-run organization. We do not advocate, support or practice unlawful discrimination based on age, ethnicity, gender, national origin, disability, race, size, religion, sexual orientation or socioeconomic background. We do offer internships. Or, if you want to volunteer, let us know! Is my donation to the Green Zionist Alliance tax deductible? Yes, if you pay taxes in the United States. For other countries we are unable to provide tax receipts, but we would welcome partners to help collect tax-deductible donations in other countries. How much of my donation goes to programming and how much goes to overhead? Every organization calculates overhead differently. Depending upon how overhead is calculated, we spend between 1 and 10 percent of donations on overhead and between 90 and 99 percent of donations on programming. Where can I see the Green Zionist Alliance IRS Form 990? The GZA is exempt from filing the Form 990 because annual GZA revenues fall below the IRS threshold. Instead, the GZA files Form 990N, an archive of which can be found on the IRS website. The GZA also is included among the listings of numerous organizations that evaluate nonprofits, including GuideStar and GreatNonprofits. Join the Green Zionist Alliance, distribute materials in your community, spread the word! For more information on how to get involved, contact us or take action today!